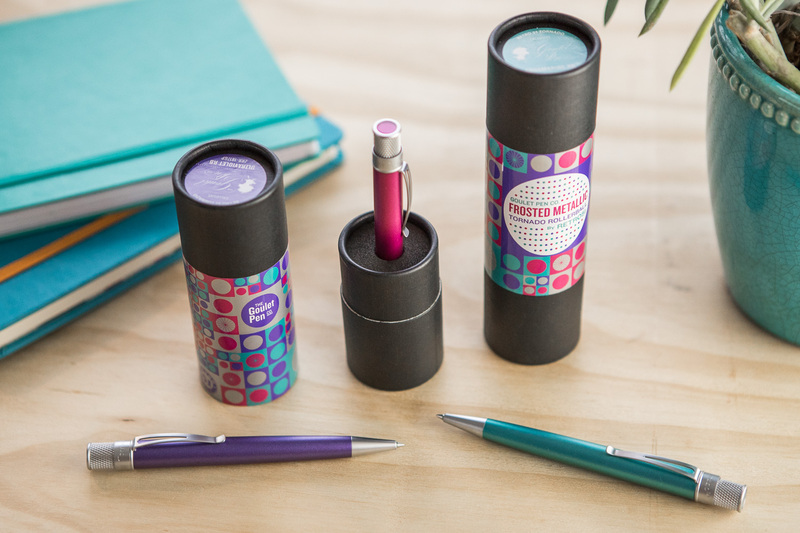 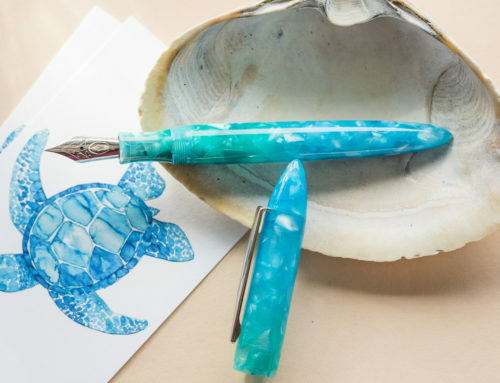 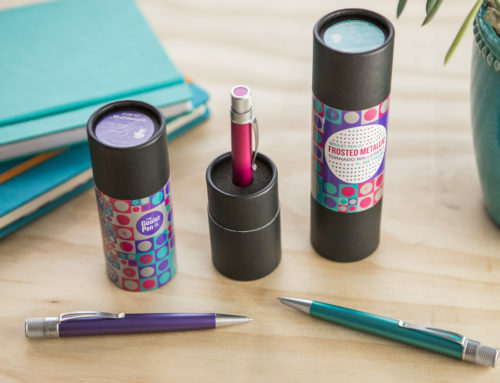 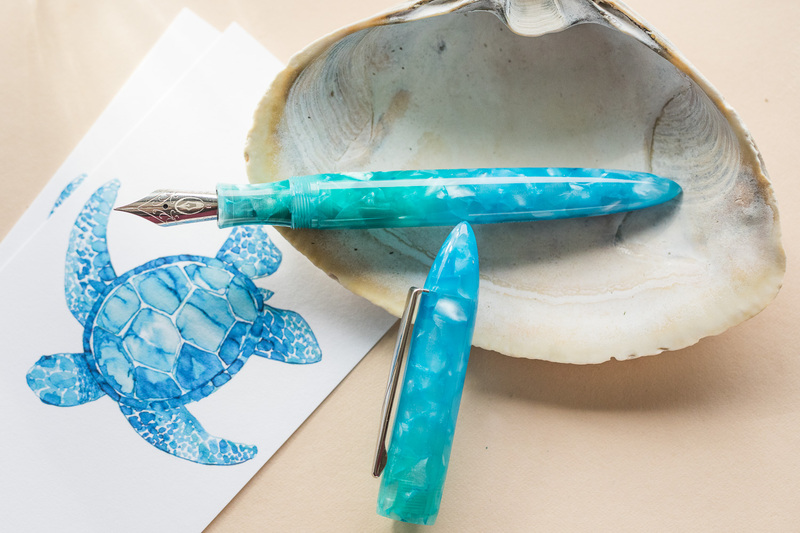 Pretty pens are nice, but pens are also functional and need to write well. 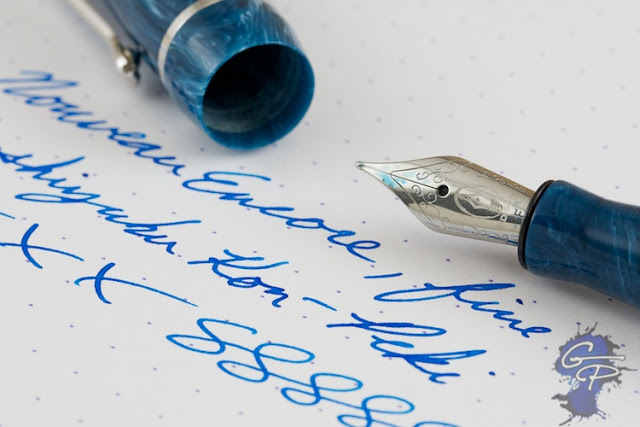 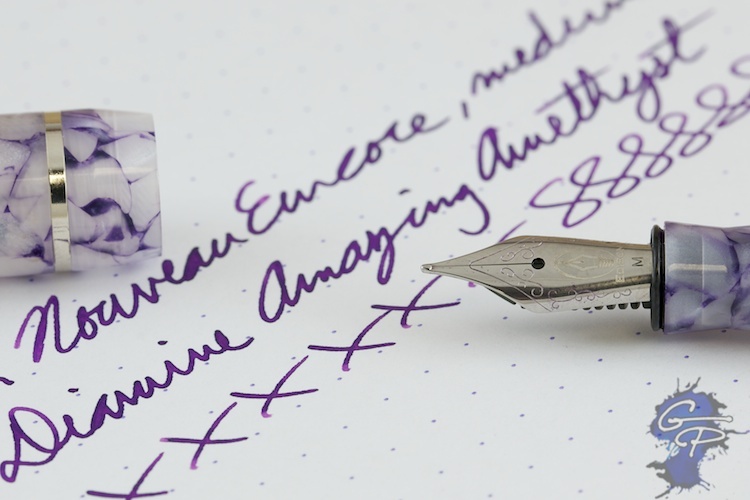 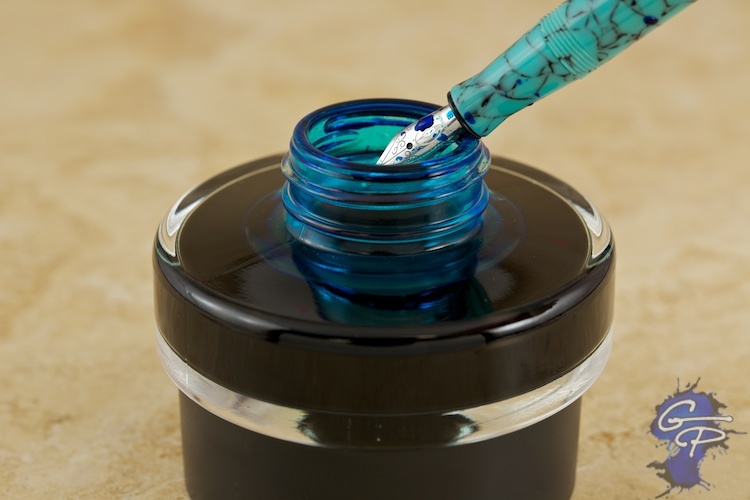 The way a pen writes is important, and can make or break the whole experiencing of owning a fountain pen. 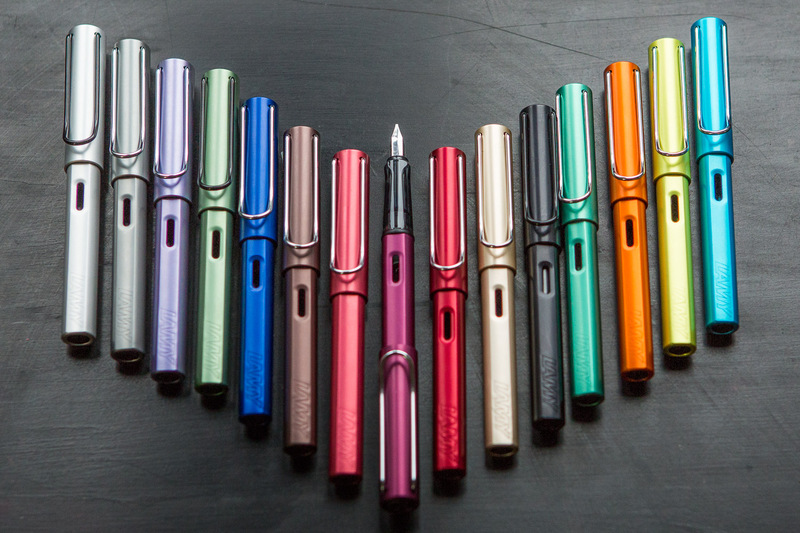 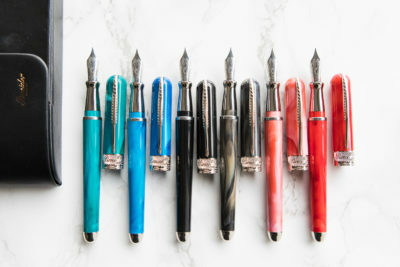 I’m proud to say that the nibs on the Encore keep up with Edison’s stellar reputation for writing excellence. 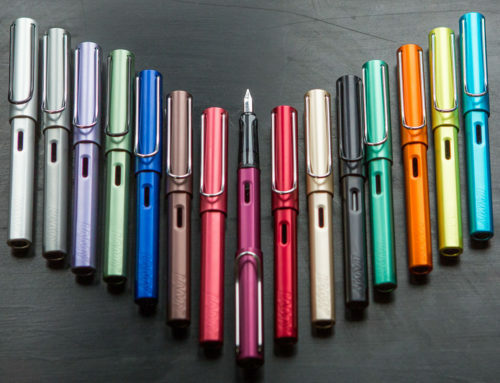 Brian Gray tunes his nibs to ensure his famous ‘smooth with a touch of feedback’ writing experience. 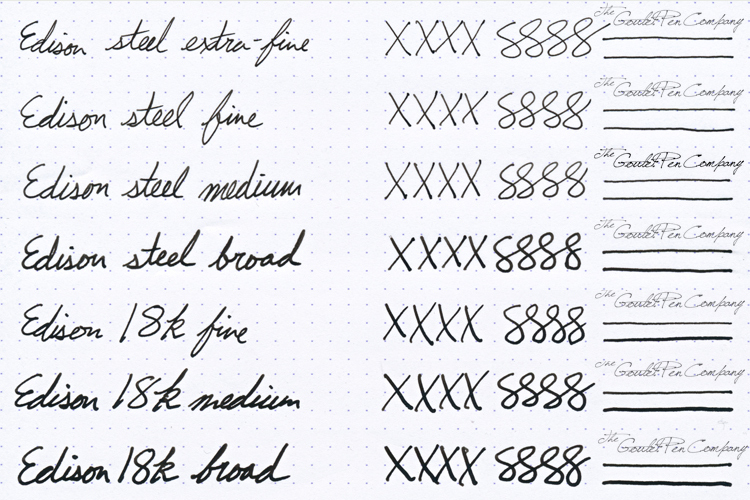 Nib Nook sample of Edison nibs used on the Encore, done in Noodler’s Black on Rhodia 80g dotpad paper. 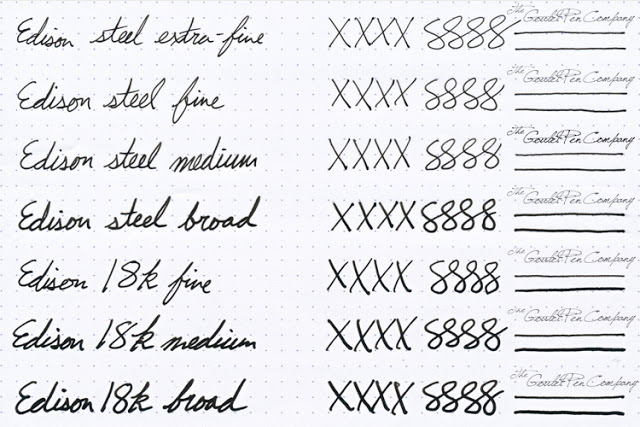 Nib Nook writing samples of Edison #6 nibs, done in Noodler’s Black on Rhodia 80g dotpad paper. 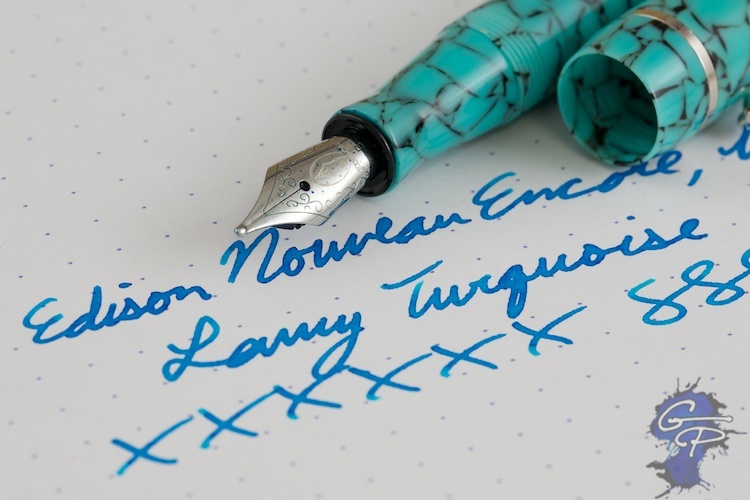 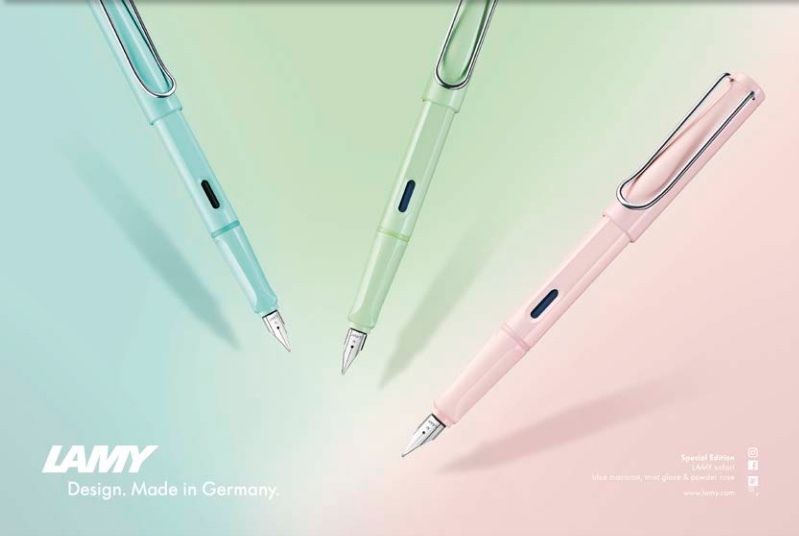 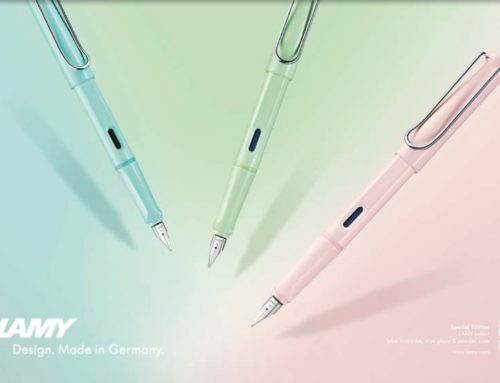 Edison Nouveau Encore in Lamy Turquoise, this pen will fit and fill fine in just about any ink bottle. 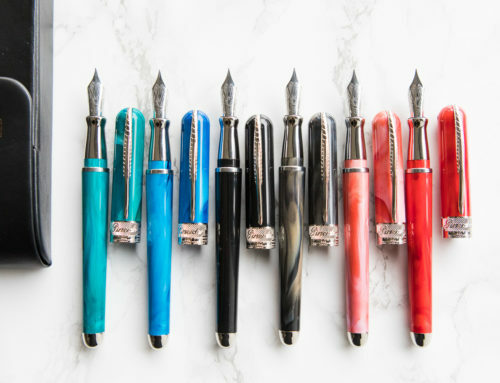 This is all of course, leading up to our big release on April 18th, where we’ll be showcasing the pens in full, and making them available for purchase. 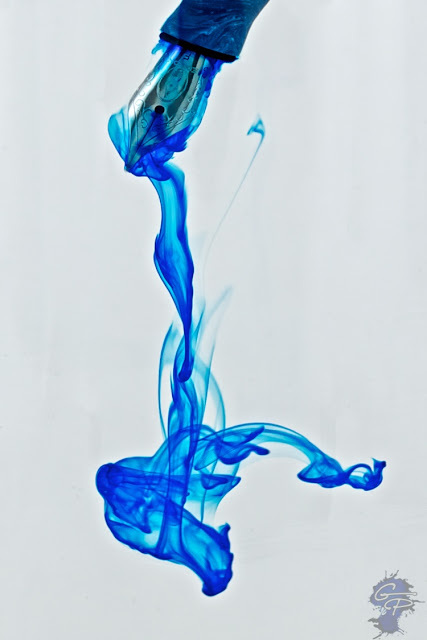 Feel free to check out the other pics revealed yesterday, two days ago, three days ago, and four days ago.